Way out in the middle of a barren desert landscape, there is a hidden canyon. At its base a small stream brings life to the narrow canyon floor. 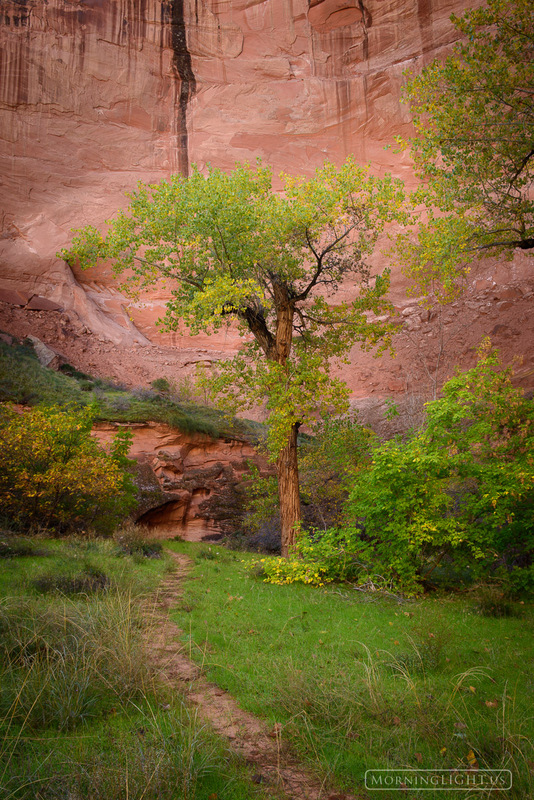 Here cottonwood trees, green grass and a variety of plants flourish in the shade of steep canyon walls. Down here, deer, coyote and a variety of birds take refuge. This garden paradise is so unexpected and so delightful that one can't help but feel like they have tumbled into Eden. Photo © copyright by Erik Stensland.